These days, finding a cheap flight isn’t the end of your airport expense woes. If you have parked at an airport recently, you will have noticed how expensive it is to park your car there, even if it is for a short period of time. But there are a few tips and tricks that can be applied whenever you need to park at the airport. This article will give you a few tips to help ensure that you don’t pay expensive prices for parking again. Firstly, you will need to consider how long you are going to park for. There are usually a range of car parks, and the amount you pay can be cheaper if you are staying for longer or shorter pieriods of time. Give yourself time to do some research on the Internet to find the cheapest long stay and short stay carparks in the airport to make sure that you get yourself the best deal. Liverpool Airport parking, for example, can range in price depending on how long you stay. Also make sure to go to the airport with plenty of time so that you have adequate opportunity to find a parking space in the car park that you want. If you are in a rush you may have to park somewhere else and pay a lot more. 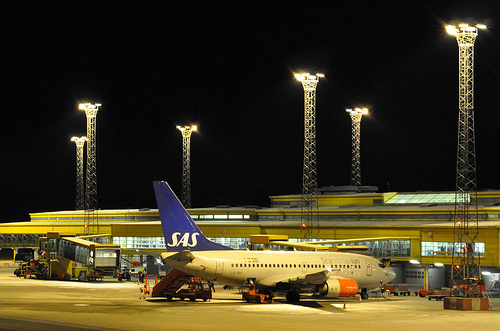 Look at hotels near the airport and see how much an overnight stay there is. A lot of hotels will give you free parking in their car parks if you stay overnight at the hotel, and this can save you a great deal of money in parking fees. It will also ensure that you don’t have to drive home after a long flight feeling tired, as you can book a night in a hotel to refresh yourself before going home. If you can’t get a hotel place, or it doesn’t work out cheaper, try looking into nearby hotels that will give you discounts on airport parking. You can also call ahead and try to solicit the hotel’s help in negotiating better rates. Nearby the Leeds Bradford Airport parking, for example, there are hotels that may be willing to help cover some parking expenses. If you book your car parking space in advance, you can often save a lot of money. Make sure you investigate this before you go, as you could get a car parking space for half the price if you just do a little bit of research on the Internet first and make some phone calls or book online. This also has the advantage of you being sure that there will be a space available for you when you arrive at the busy airport. There will be no need to drive around looking for spaces, and if you are running late you can quickly park up and rush to your terminal. You can even book a space the day you are leaving and still get a good deal, or if you don’t have time to do this yourself, there are online sites who will search through all the possibilities for you and give you results back on which service will be the cheapest for you. Edinburgh Airport parking, for example, can be booked online in advance. The best part is that you can manage, change or cancel your booking if necessary in advance and online, making it as easy and convenient as possible. So keep these tricks in mind the next time you need to park at the airport. The costs and charges associated with flying seem to just keep cropping up and going up, so play it smart and save a few the next time around!